Newtonians (also known as catoptrics) usually use a concave parabolic primary mirror to collect and focus incoming light onto a flat secondary (diagonal) mirror that in turn reflects the image out of an opening at the side of the main tube and into the eyepiece. The basic design has been around for hundreds of years and invented by, you guessed it Sir Isaac Newton in 1689. A bit like the picture above his one was a 150mm diameter and used his discovery of Newton's Rings to grind and check that the mirrors flat. In summary a small reflector is the best general purpose telescope for beginners as they are good on all types of objects and for starting astrophotography. 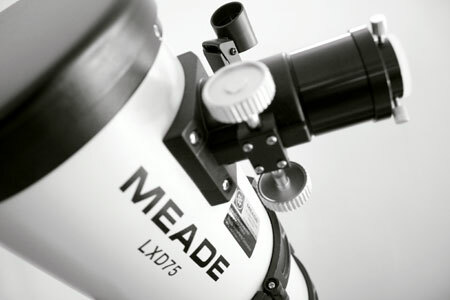 If you wish for the ultimate planetary telescope, and also a scope which is virtually maintenance free then look no further than a refractor.